25 September 2017 – Do you remember Ryan Milstein, a young Australian Le Cordon Bleu Paris institute graduate? Last year, Ryan told us about his burning passion for cuisine and explained how he left finance to follow his dreams and enter the world of gastronomy. We caught up with him 1 year after graduating with a Cuisine Diploma. Where is he now? After carrying out a 6 month internship at restaurant Guy Savoy***, Ryan was asked to take on the role of chef de partie at the same chef’s bistro-style restaurant, “Les Bouquinistes”. This marked the beginning of an amazing adventure. But the story doesn’t end there! Having just turned 25, Ryan Milstein founded La Main Noire collective with two barista friends. The idea behind the project was the result of an encounter in Melbourne and a passion shared by all 3 friends: the brunch and coffee scene. When we moved back to Paris, we realized that there are many ideas, products and techniques that have not yet arrived in Paris for the world of specialty coffee and brunch/lunch cuisine. In 2016, the 3 friends decided to join forces and created La Main Noire. The idea behind launching the collective was to improve what was available in Paris and to give the coffee industry a new boost in terms of products, new ideas and techniques. The aim was also to bring together passionate professionals via social networks and a variety of events. La Main Noire collective has launched several projects: importing good quality plant milk for baristas and creating a new product for the European market, a new preparation technique inspired by Indian Chai tea. Ryan explains: “We make and sell (currently in 50 locations in Paris and also in Berlin) a Sticky Chai which is 100% Bio. We toast our spices individually, hand crush them and mix with our black tea. Then we confit this mixture into honey with fresh ginger and vanilla. 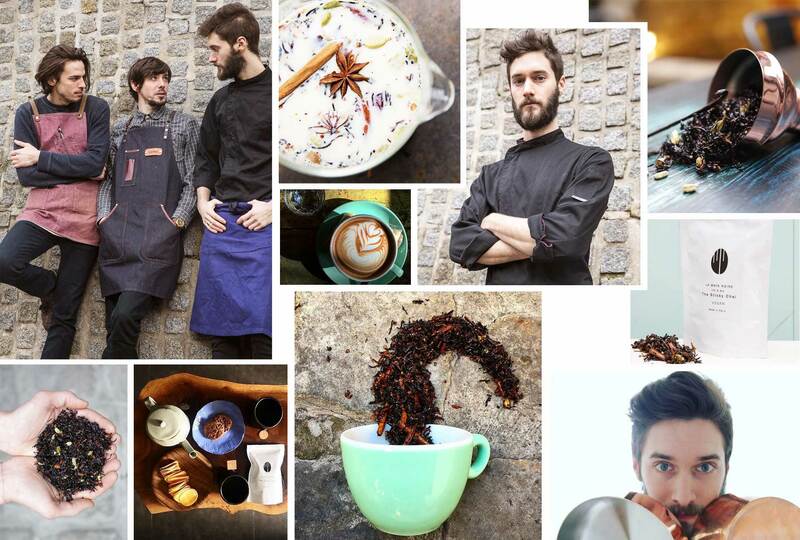 Ryan and his two associates are currently working on opening a semi-gastronomic restaurant /coffee shop in Paris. We will shortly be taking you on a voyage of discovery of their world.